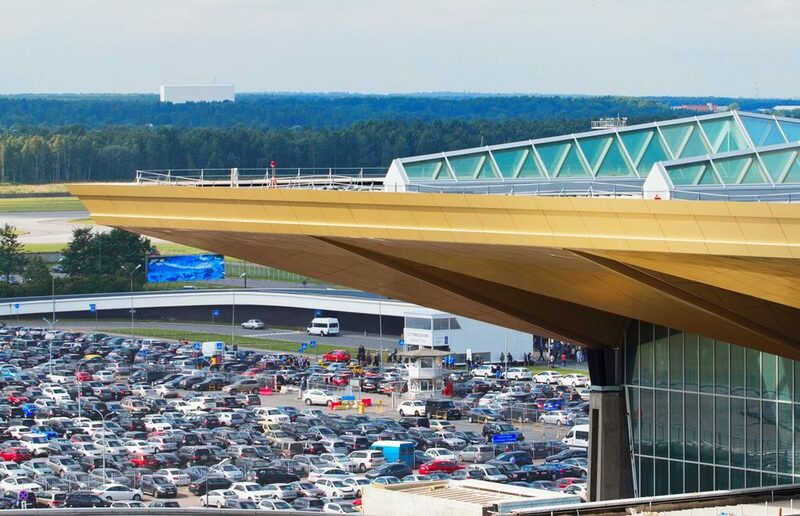 Pulkovo airport made some changes to its parking price policy, in effect as of April 1. Free time period at short term parkings is eliminated, while an hour rate at long term parkings is reduced. Pulkovo’s 24-hour parking space has four separate zones with P1 being the closest to the terminal and P4 being the furthest (a 10 minute walk away, there is a shuttle bus) and designed for long term parking. The short terms parkings P2 and P3 eliminate a free stay period (it was previously 20 minutes), fares are 200 rubles per hour for P2, and 150 rubles per hour for P3. The long term parking P4 decreased per hour rate from 150 to 100 rubles. If you leave your car for a day you pay 450 rubles, for a week 2,000 rubles, every further week will get you back additional 1,000 rubles (previously 2,000). All other fares have not been changed. And you still have 15 free minutes to park if you come to pick up someone or taking here those who’s going to depart. Read also our Guide to St. Petersburg Pulkovo airport and Hotels near Pulkovo.